StableHost Review: The Little Clustered Hosting Company That Could. But Is It Right For You? Need shared hosting but don’t like the risks involved? Explore the new clustered hosting. Read our review of StableHost to get the facts. Small businesses and individuals new to hosting are an easy demographic to cater to. Shared hosting is cheap to provide and, in some cases, companies may trick inexperienced users into not getting the best deal. Because of this, a smaller hosting provider with honest intentions and good quality hosting can be somewhat rare. StableHost seems to be an exception. With a tiny team of 15, all of whom are dedicated to you having a great experience; it’s very much differentiated from the impersonal, giant hosting companies that seem to be everywhere. StableHost was launched in 2009 and it carries no debt, which seems promising. With a promise to put all its money into growing the business, and some great hardware and customer support to go along with it, it’s easy to trust that StableHost might be different. Let’s see if it keeps that promise. 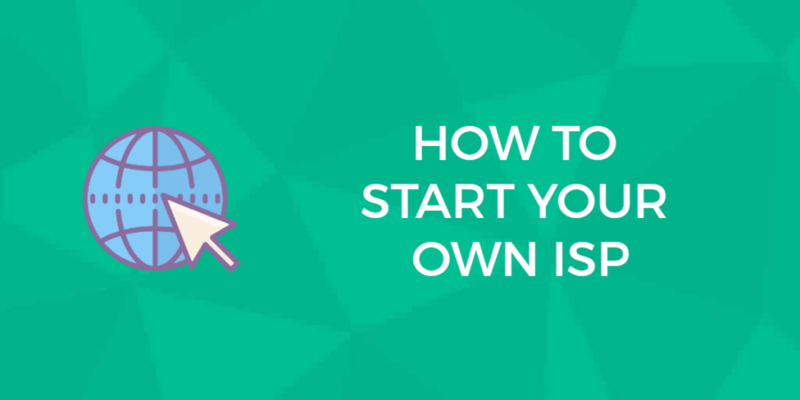 What Features are Included in the Starter Plan? Does StableHost offer a money back guarantee? Does StableHost offer an uptime guarantee? Where are StableHost’s servers located? For small business owners looking to get started with budget-friendly web hosting, StableHost’s shared web hosting is a good bet. There are currently three shared hosting plans from which you can choose — the entry-level option gets you basic support for one website, while the two premium options get you additional resources for additional websites (e.g., additional databases and CPU cores). The more expensive options also get you hosting on a server that is shared with fewer other websites. At least a 99.9% uptime guarantee. If you are looking for more than just entry-level shared hosting, StableHost offers a variety of reseller, virtual private server (VPS), and dedicated hosting options. Furthermore, most of these options are unmanaged, which means that StableHost expects you to be fully responsible for technical tasks like the setup, configuration, maintenance, and management of your web server. Do note, however, that these options are very bare-bones; while the initial price tag for such packages may be low, you will need to pay for add-ons that would lighten your workload (such as a GUI control panel). Depending on the option you have selected, you may also need to pay more for things like uptime guarantees. However, if you are in need of advanced web hosting, but you do not want to tackle the server system administration yourself, StableHost does offer professional services that you can bundle and purchase with your web hosting. With all that said, let’s take a closer look at what StableHost offers. The company’s individuality shines through immediately upon seeing the sort of shared hosting it offers: clustered hosting. Like cloud hosting, the workload of the server is spread across multiple machines. Most shared hosts run a set of websites on one single machine, so if that computer fails, everything goes down. Clustered hosting, though not as well known, aims to minimize this issue. Video above: How does StableHost’s clustered hosting work? This explainer video makes it easy to understand the benefits. The basic plan covers a single website, as is typical, but beyond that, it’s unlimited everything. Meanwhile, while the “Enterprise Hosting” comes at a price closer to general VPS costs, you get some extras like VIP support, double the inodes (files), and spam filtering. Perfect for larger businesses that still exist in a shared hosting environment. SSH access comes at an additional fee, unfortunately, but the hundreds of free apps more than compensate — at least for basic users. Overall, everything is pretty simple and easy to understand. 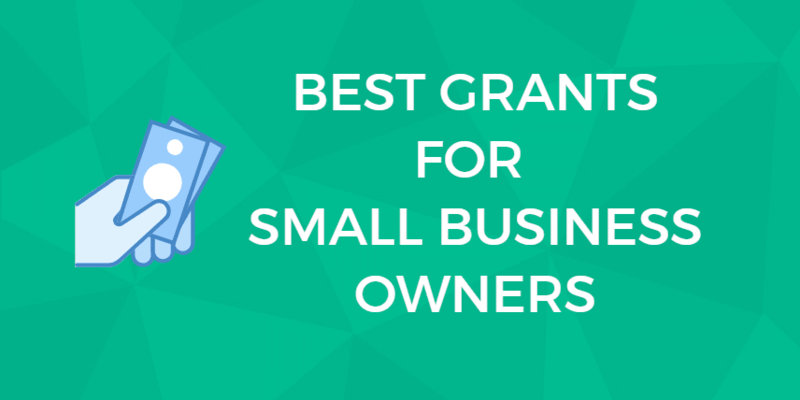 There’s a plan for newbies, for small businesses, and for larger websites. The feature list is clear and every description is direct to the point. We like the inclusion of Varnish in all plans. Varnish is a reverse proxy HTTP accelerator. It can significantly speed up site loading times, which have a direct impact on visitor conversion rates. 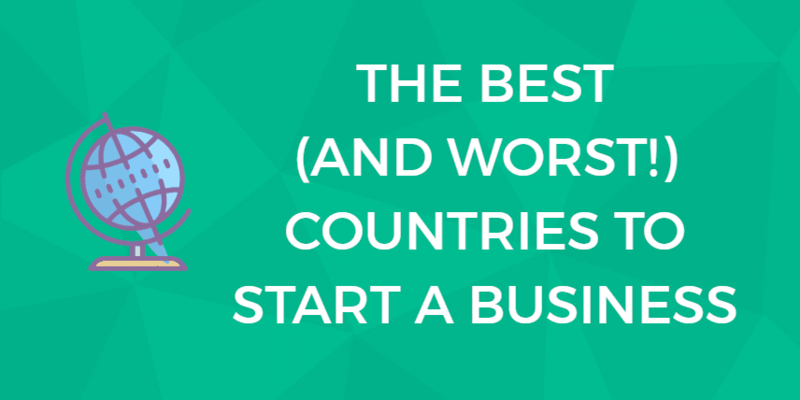 And don’t forget reseller hosting. Whether you’re just starting off or have over 50 customers, each plan is a perfect fit. R1Soft backups, unlimited bandwidth, and a web builder ensure happy customers even if you’re new to the game. VPS is the next step up, and it comes fairly cheap. Also running on cluster tech, these high-quality, modern servers offer maximum flexibility. You get an unmanaged, clean install, without even a control panel or OS chosen for you. If you want an operating system not offered, you can download it yourself. Also included is access to Level 3 support, so no outsourcing. There’s a choice of three different host locations: Phoenix, Chicago, and Amsterdam. Finally, there are no setup fees. And there’s a lot of plans so you won’t need to overpay. In short, if you’re tired of VPS hosts that weigh you down and want a completely unmanaged, untampered-with experience, this might be what you’re looking for. The degree of freedom is unprecedented; it’s rare to see a host that doesn’t even force you to use cPanel or a certain OS. Like most hosts, StableHost also offers add-ons for additional charges. Along with web hosting, StableHost also provides domain registration. The search tool provides helpful suggestions in case you missed out on the ideal domain. You can add ID protection at a much cheaper rate than other sites, and just tick a box to get hosting with it. It offers spam filtering as well, with a 15-day trial. If your corporate email is being bombarded with spam, you may like this. There aren’t a ton of extras, but this just means that the company can focus on improving its web hosting experience. There’s a lot this host has to offer, from backups to one-click installers to a unique hosting environment, so a quick feature list might help you out. cPanel: no relearning a control panel. 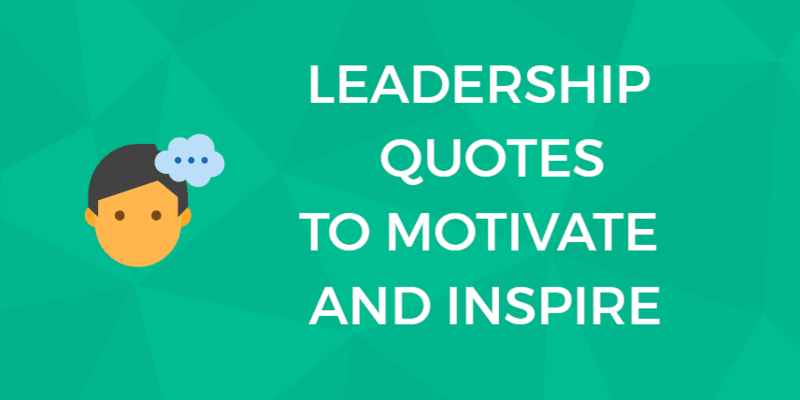 For VPS, you have the option, but it’s not required. Unlimited Bandwidth: it goes without saying. Who doesn’t love having no bandwidth restrictions? This appears to apply to VPS as well. Softaculous: a one-click installer of popular plugins like WordPress, and practically necessary for many websites. Fast Customer Support: you won’t have to sit around with downtime with this host. There’s also a knowledgebase and video tutorials. Site.Pro Builder: if web design isn’t your strong point, try an easy-to-use DIY site builder. SSL Certificate: Let’s Encrypt helps gets you the coveted green address bar, and keep customers’ data secure. Email Hosting: unlimited accounts, forwards, and auto-responders; no stipulations. Don’t forget to buy the spam filter as well. Domain Registration: since you’re buying a host, you may find it easier to get the domain at the same time, rather than hopping between sites. Money Back Guarantee: managed and reseller hosting have a 45-day grace period. A lot of sites opt not to provide a guarantee for VPS hosting, but StableHost does provide a 7-day promise. Site Transfer: though it isn’t mentioned directly, it appears that there’s no fee or hard cap, only a warning that the company may not transfer from improperly optimized hosts. No Setup Fees: a great, if small, thing for VPS customers. Hefty setup fees are not uncommon. Page from the StableHost website, highlighting their hardware and corporate growth. StableHost is designed to suit most people, which is one of its major strengths. But there are a few demographics it doesn’t fit. Most businesses don’t target everyone, so this is to be expected. There’s no form of dedicated server or customizable VPS available, unfortunately. So if you have a high traffic site, you might have to look somewhere else for enterprise-level hosting. However, the largest VPS plan will accommodate most websites, so most customers have nothing to worry about. If in doubt, contact the sales team. And keep in mind that the 7-day money back guarantee protects you in case you make the wrong call. Though, if even the highest VPS server doesn’t seem quite right, it’s probably time for a dedicated server anyhow. It’s fair enough that the company doesn’t provide this service at this time. Dedicated hosting is expensive to run! But if your site is very popular or growing extremely fast, you don’t have much choice. It’s unfortunate that it doesn’t have any higher customization, even if it came at a higher cost. General consensus indicates that the support is excellent and fast no matter your plan. And the StableHost technical team is available 24/7/265. We like the fact that StableHost has their phone number in large font posted prominently on the site footer with a friendly “Get in touch” invitation. Customer support channels also include email, a ticket system, a knowledgebase, and FAQs. Status updates are also posted. In this business, it’s pretty hard to stand out from the crowd. StableHost does have a unique logo and a well-designed site, and its clustered hosting is certainly an interesting, efficient approach. But, there just aren’t a lot of things to make the company seem different, or new, or revolutionary. Some hosts get by with strong branding, or extremely cheap plans, or investing in a new and adaptable business like cloud hosting. But there are a lot of shared and VPS hosts out there already. That doesn’t mean the company isn’t great or that it doesn’t offer some quality servers, it just means it’s not eye-grabbing in particular. But on the other hand, this might mean you have a great host all to yourself, right? It is important that your website be available to users at all times, but this is even more so when you are a small business. As a small business, your profit margins are smaller than that of a larger company, and having your site unavailable can directly lead to decreased profits. One way to protect yourself from the ramifications of downtime is with an uptime guarantee. StableHost offers a 99.9% uptime guarantee with all its shared and reseller hosting services. That means that if there is downtime such that the company does not keep your site online for at least 99.9% of the time in a given month, you are credited for future hosting services. Site availability is not the only thing you have to worry about, however. How your site performs, that is, how quickly your server responds (“response time“) and how quickly your pages load (“load time“), is crucial as well. One thing that StableHost has done to improve the performance of its offerings is to use Litespeed Web Servers, which is one of the industry’s leading high performance, highly scalable offerings. When you are just getting started with your website or online store, the differences between LiteSpeed and, say, Apache, might not be noticeable, but as your site grows, you will likely be more aware of improvements. The use of Varnish, a web accelerator, also will contribute significantly to your site loading speed. While StableHost’s plans can be used for e-commerce purposes, the company offers very little regarding built-in e-commerce functionality. You can quickly launch your site using an e-commerce platform or integrate with the third-party tools you need to sell online, but all of that work will need to be done by you. From its innovative method of shared hosting to its improvement-centric mindset, this host is certainly a solid choice if you’re in the market for affordable shared or VPS hosting. The company’s flaws are minimal and minor, and its unique approach to hosting more than makes up for the few problems there are. There’s just a lot of upsides to using this company, and you’ll almost certainly be happy with the quality of hosting provided. It’s good news for those operating on a shared host. Being able to run your website without worrying about your neighbors getting you on a spam blacklist seems like a dream come true. Suddenly, the major downfalls of shared hosting are gone. Clustered hosting doesn’t appear to be that popular a form of shared hosting, but with its great benefits, it’s sure to take off soon enough. There are no visible downfalls to this method over shared hosting, at least not for the customer. So, you get a faster service with fewer risks of being associated with spamming, at no cost to you. StableHost is eager to tell you about its support team, all of whom are experienced in — and have a passion for — web hosting. Bored interns aren’t something the company tolerates, so sit back and let the experts happily take care of you. And for such a small company, it’s doing a great job. Not even the biggest hosts tend to be able to claim an hour-long reply at max. Sitting around and waiting for a serious issue to be solved is never good. StableHost and HostGator are web hosting companies that offer similar products and cater to a similar audience. When it comes time to make a purchasing decision, however, which company is the better fit for you? Both StableHost and HostGator offer full-featured, robust shared hosting plans complete with unlimited resource allocations and backed by top-notch customer support. StableHost, however, offers a slight edge in terms of infrastructure, with its enterprise-grade SSD drives and LiteSpeed web server technology. With that said, HostGator is cheaper. If you would like a bump in performance, StableHost is probably the way to go. If you want to get started with as a small investment, consider HostGator. StableHost offers many excellent plans that can provide for a range of people. Whether you have a tiny WordPress blog, a small start-up business, or a moderately sized company, your options are limitless. And if you’re searching for a VPS host that gives you a blank slate, you’ll be pleased. And the best part is, the team shows much honesty and determination to keep the company and the servers top of the line. It’s a rare goal, trying to balance both having the best equipment in the business and making sure customers feel welcome, but it’s one the company excels at. So if you’re in the market for shared hosting with a very beneficial twist, or hands-off VPS hosting where you’re fully at the wheel, consider giving StableHost a try. It’s great to have a company dedicated to you and your websites’ stability. Got more questions? We’ve got answers. Browse the most commonly asked questions about this host. Yes, but there are a lot of catches. First, it is only for first-time customers within a 45-day window with shared or reseller hosting. Dedicated hosting only has a 7-day window. Admin fees, install fees, and domain names are not eligible for refunds. Yes, their uptime is 99.99%, which is in line with the industry standard. If they fall below that mark, they offer a full month’s credit to your account. They have four locations in Chicago, Phoenix, Stockholm, and Amsterdam, each focused on different types of hosting. For example, their Stockholm site focuses on clustered hosting. You are here: Home > Web Hosting: Which Hosting Company Is Best For You & Your Website? 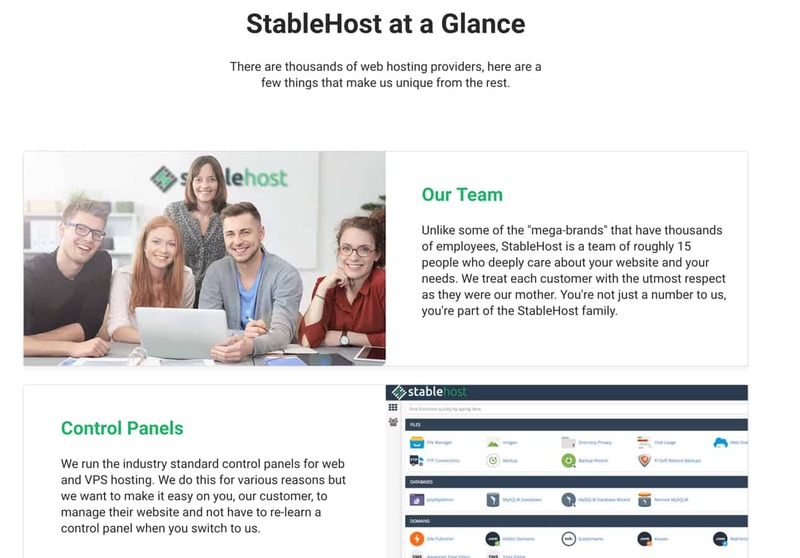 > StableHost Review: The Little Clustered Hosting Company That Could. But Is It Right For You? Our Verdict: Quality shared hosting from a small team. Next: Host Vs Host: Which Is Best?